Joe Kikuchi's lawyer denies allegations of sexual assault against a Keppel High School player. 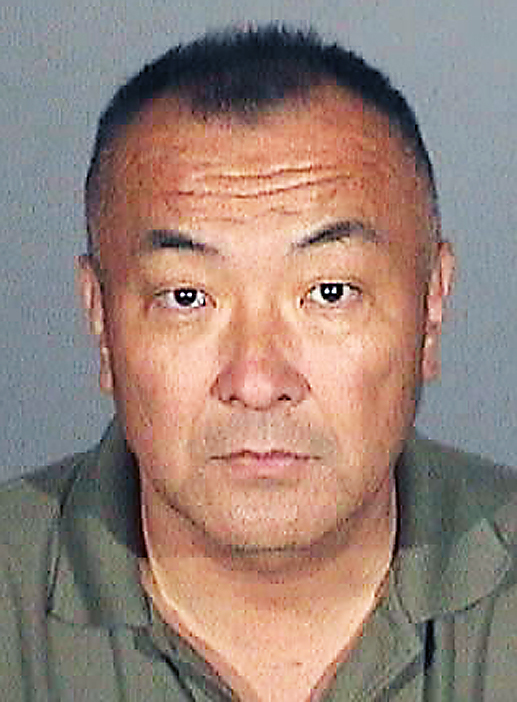 Kikuchi, 56, the popular coach who over the last several years transformed the Mark Keppel High School girls’ basketball program into a powerful state contender, was arrested Thursday on suspicion of having an ongoing sexual relationship with one of his teenaged players. Alhambra Police Sgt. Jerry Johnson said Kikuchi was taken into custody and booked on multiple felony counts, including lewd and lascivious acts with a minor. He was released on $100,000 bond and an arraignment is set for Oct. 23. 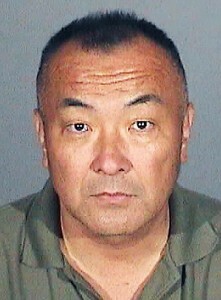 Kikuchi’s booking photo was released by the Alhambra Police Dept. He was released on bail and is set to be arraigned Oct. 23. Johnson said an administrator with the Alhambra Unified School District contacted police after learning of rumors regarding an intimate relationship that was allegedly occurring between a female high school student and her adult basketball coach at Keppel. A number of sources have told The Rafu that suspicion had been rising in and around the Keppel basketball program over Kikuchi’s involvement with the player for some time. Alhambra Police detectives reportedly were able to find evidence of truth in those rumors, including reports of Kikuchi and the student dating and taking trips to Disneyland, and he was arrested late Thursday morning at his job at a Downtown food wholesale company. According to Johnson, detectives obtained information that showed numerous occasions of sexual contact between Kikuchi and the 16-year-old team member over the past year. He said the girl was contacted and has cooperated with the investigation, and that electronic evidence has been seized. By the close of business Friday, the Los Angeles County District Attorney’s Office had not filed formal charges against the Monterey Park resident. Kikuchi resigned from his walk-on coaching position on Sept. 15, citing health reasons. The Pasadena Star-News has reported that Keppel principal Jacinth Cisneros and assistant principal Khevin DeVaughn were placed on indefinite administrative leave last week. A school district official would not confirm whether the suspensions are linked to the Kikuchi case, but did say that the district has begun its own investigation. The Los Angeles Times reported that Kikuchi has retained a defense lawyer, Paul Geller, and the attorney said police have ignored the heart condition that led to the coach’s resignation. He said Kikuchi denies the allegations of sexual assault and that investigators are publicly embarrassing his client by arresting him in front of his coworkers and sensationalizing the case. Keppel senior and team captain Sophia Song called the developments “shocking,” and told the Star-News that the team will do its best to try and get past this ordeal. “We’re going to move forward from this as a team and stick together. It’s scary, but we all have each other,” Song said, citing her disappointment in her former coach. 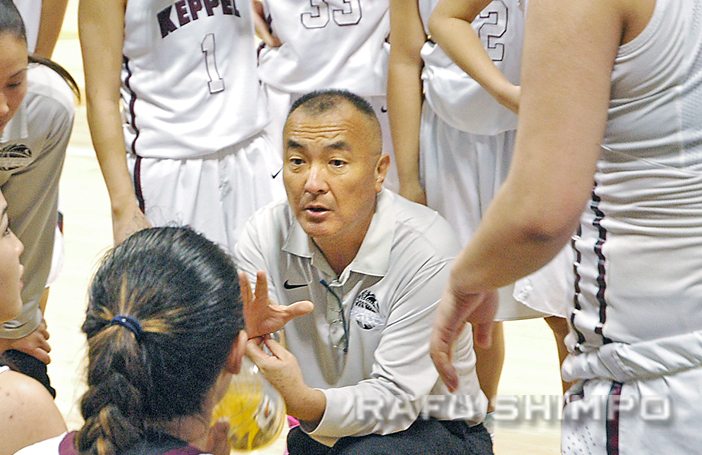 Since taking over the head coaching position for the Keppel girls in 2012, Kikuchi brought new life to the girls’ program. He deployed a fundamental style of basketball common to local Asian leagues, with a focus not on height and power, but on crisp ball-handling and accurate shooting. Under his leadership, the Lady Aztecs had a record of 79 wins against only 18 losses, won the Almont League title all three seasons and made it to the State championship last season. Kikuchi was named one of The Rafu’s Sportspeople of the Year in 2013 and the Star-News‘ Coach of the Year twice. One girl who played under Kikuchi in the San Gabriel Valley Basketball Club was at a loss for words when asked about Kikuchi’s alleged actions.